The 10 Best Antique Stores in Arkansas! Whether you’re adding to your collection or completing a room with the perfect antique accent piece, it can be a challenge to find the real deal these days. 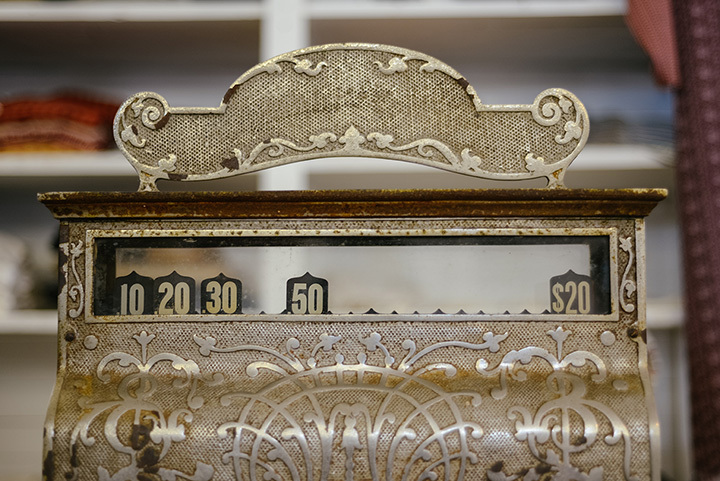 Discover hidden treasures buried across the Natural State as you take a step back in time with our list of the best antique shops in Arkansas. This Victorian-infused street should be on every antique-lover’s bucket list. You can’t avoid feeling the charm of the Old Timers as you take a stroll down historic Main Street in downtown Van Buren. Known as “Easy Street” by the locals, Main Street is lined with Old Town Merchants offering antiques beyond measure. This unique antique mall is named after the notorious Old West female outlaw, Belle Starr. Starr became known as the “Bandit Queen” during the days when Fort Smith was known as “Hell on the Border.” The Belle Starr Antique Mall in downtown Fort Smith is a 7,000 square feet treasure trove of antique and vintage inventory. Located in the Hot Springs Historical District, this family-owned antique store features 3,500 square-feet of quality antiques and collectibles. Since it began in the spring of 1994, Historic District Antiques has been a must-see for all antiquers. While you’re shopping be sure to say hello to the store’s mascot, 12-year-old Tiki, a sun conure parrot. Over 70 vendors span the two floors of this 10,000-square-foot antique mall in Hardy. Folks say that Memory Lane Antique Mall is the best of its kind in the Ozarks. The town of Hardy is an antique treasure on its own and is listed on the National Register of Historic Places. Ann Marie’s Farmhouse on Wagon Wheel in Springdale is a must-see on your antiquing adventures. Locals love this little old farmhouse and shopping the vintage treasures and antiques hiding within its walls. If you aren’t drawn to what you see here at Ann Marie’s Farmhouse, folks say she can find any antique you’re looking for. They buy and sell antiques at the Arkansas Peddlers Antique Mall in Springhill about seven miles north of Conway, just south of Greenbrier. This 25,000-square-foot antique lover’s paradise features over 150 booths and 60 glass showcases that keeps both travelers and locals coming back. This antique store on Cantrell Road in Little Rock features over 50 dealers, welcomes layaways, and is open six days a week. Fabulous Finds has long been a local landmark and antiquing destination. You’ll love the fabulous antiques you’ll find here! The Antique Warehouse of Arkansas is a well-known Ozarks landmark on the scenic route of Highway 65, just eight miles north of Clinton. With 90,000-square-feet featuring five beautiful showrooms and seven large red warehouses, the Antique Warehouse of Arkansas has the largest inventory of fine European antiques in the United States. This antique shop in downtown Russellville is one of the best antique shops in the Arkansas River Valley. PJ’s Corner Antiques, on West Main Street, features 10,000 square-feet of antiques and vintage treasures, including a large variety of items from the 1850s through the 1950s. Get lost for the day at The Rose Antique Mall, one of the oldest markets in the Northwest Arkansas area. From its great location on West Walnut in Rogers, this antique mall features over 14,000 square-feet of antique and vintage collectibles.